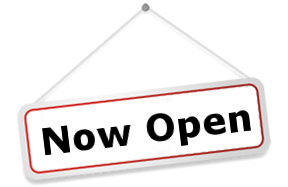 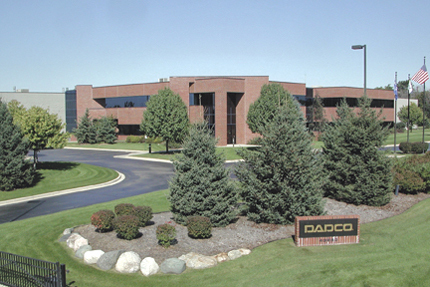 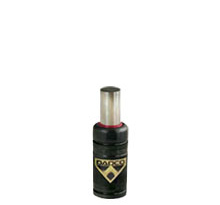 Founded in 1958, Dadco is the Global leader in Nitrogen gas spring technology. 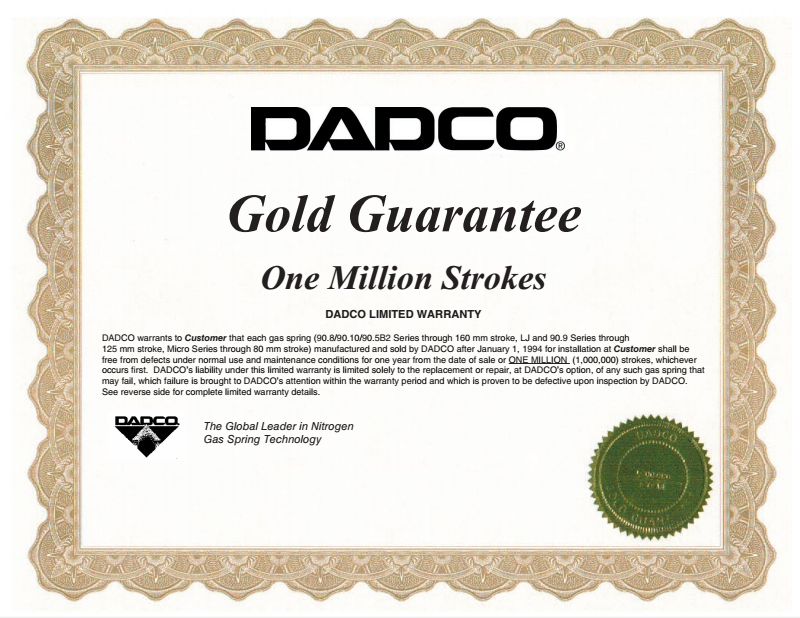 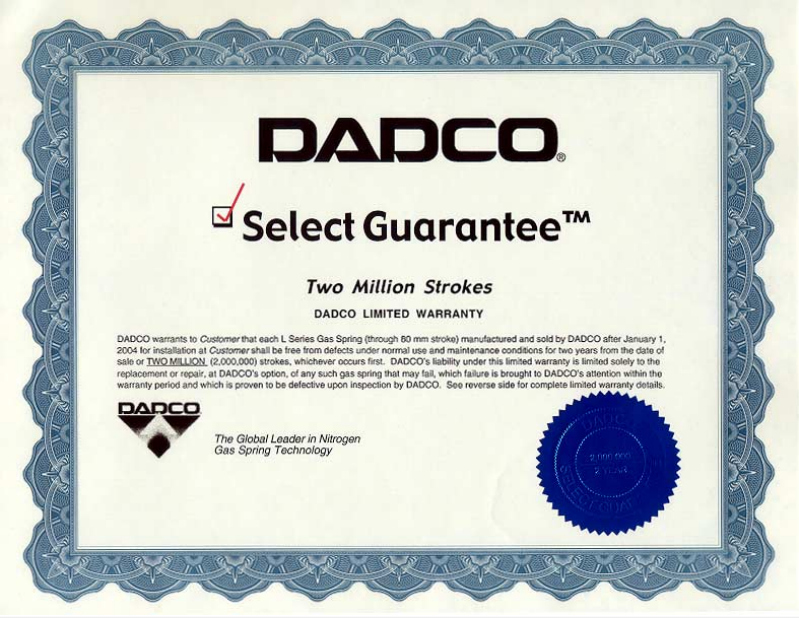 With the industry's true 1 million and 2 million stroke guarantee, made in the USA, quality of material used and onsite R&D labs Dadco is your answer to cutting edge technology and continuous improvement. 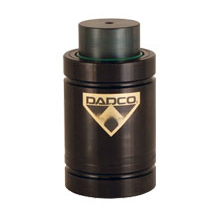 Resolve nitrogen gas spring contamination problems with DADCO's Extreme Condition Solutions. 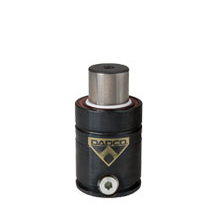 The GRS Series is available in four rod diameter models (25 mm, 30 mm, 36 mm and 50 mm) and may be ordered in stroke lengths from 20 mm to 150 mm, in 0.1 mm increments to suit a variety of application requirements. 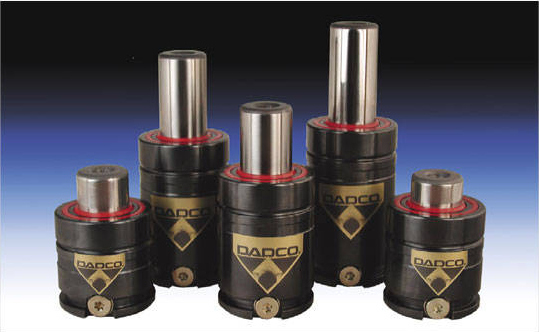 Create a linked nitrogen gas spring system utilizing the various types of fittings, hose, control panels and specialty components offered by DADCO.